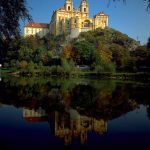 For over 1000 years the Benedictine monastery of Melk has been a spiritual and cultural center of Lower Austria. It boasts one of the world’s most significant libraries, which is also the location for the beginning of Umberto Eco’s famous novel “The Name of the Rose”. From 2004 to 2007, Melk Abbey was the venue for the “Waldzell Meetings” which brought the world’s leading thinkers and visionaries together with decision makers from business and the media. The participation of His Holiness The Dalai Lama from 17 to 19 September 2007 marked the pinnacle of the “Waldzell Meetings”. This complex lies near the base camp of Mount Everest (photo). 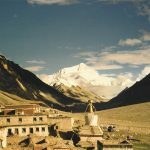 Before this imposing backdrop, Europeans also quickly understand why the Tibetans feel like an integrated part of creation and never like administrators or even rulers. Rather than technology, Tibetans consider the “Magical Rule” over the world the suitable answer to their difficult way of life. 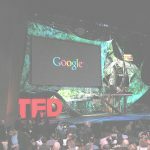 Andreas Salcher regularly takes part in the TED Conference (Technology, Entertainment, Design). It brings together scientists, inventors, artists and visionaries like Microsoft founder Bill Gates and Amazon founder Jeff Bezos to exchange ideas. The lectures are presented on the website www.ted.com and have already attracted more than one billion visitors. Included in these lectures is Ken Robinson’s legendary speech “Why schools kill creativity” with more than 35 million viewers. 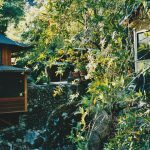 This institution is the classic of the New Age movement in Big Sur, California. 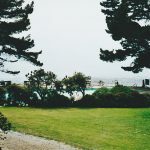 With its past as a previously “wild” commune, only the myth survives today – and the beautiful setting by the sea is unique. The workshops focus on Gestalt therapy. The first Zen monastery in the USA lies in the hills of Carmel, California, and was founded in 1966 by the Zen Monk Shunryu Suzuki Roshi. In summer it is open to visitors and offers the unique opportunity to live there and take part in meditation workshops with the monks, 50% of whom are women. For more information, please read my interview with Ed Brown, one of the leading Zen priests and student of the founder Shunryu Suzuki Roshi.